Probably one of the coolest jobs on the planet, especially if you enjoy a good beer, is working as Beer and Ale taster. Yes, this job is just as awesome as it sounds – someone pays you to drink beer and ale. For beer lovers, it truly doesn’t get any better than this – am I right? Of course, not all the beer is great. That’s why they need you. Beer and ale makers employ professional tasters to let them know if knew beverages are good enough to be released to the public. Some of the beers you taste will never actually make it to the market. Hopefully, none of those will be your favorites! Qualifying for the job of a professional taster doesn’t really require all that much in terms of skills and qualifications. Obviously, you need to enjoy the taste of beer and ale. And you need a pretty decent palate. So, if you think that Bud Light is the best and only beer worth drinking, well, you’re probably not going to be able to land this job – unless it’s with the people who make Bud Light, then you might have a shot. Your taste buds need to be able to tell the difference between hops-based and malt-based beer. Likewise, you’ll need to be able to tell your boss if a sample is too hoppy, etc. As you taste each brew, you should be able to pick up on the identifying characteristics that define each brew. You’ll also need to be able to tell the difference in texture among the different types of beers, such as thick for stouts and thin for pale ales. Since this job is available all over the world, and with breweries of all sizes, the average salary is hard to determine. It ranges all over the map. In the United Kingdom, you can expect around 200GBP per day, which is a pretty nice pay rate. In the United States, the average reported seems to be around $45,000 per year. Of course, your pay rate will likely be a bit lower when you first get started until you gain some experience. 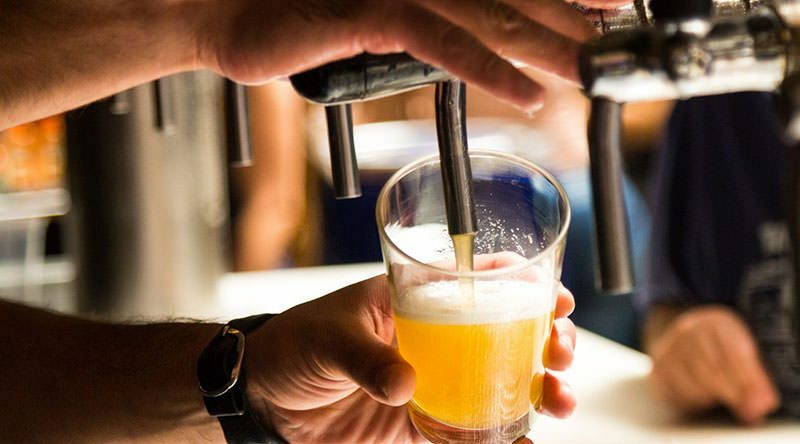 It is worth pointing out that many beer tasters function as Beer Quality Technicians who visit local area pubs to taste the beer from their brewery. And this means being on-call all the time in case one of those pubs has a problem with a cooler or something else related. So, this can be a 40+ hour per week job. Not that drinking beer is hard work! If you love beer and think that you’re a good candidate for this job, it’s time to start looking for open jobs. You will usually see the job title listed as Professional Beer Taster, Beer Sommelier, Cicerones or Beer Quality Technician. The best places to find these jobs is to check the current job openings at all the breweries that you are interested in working with. These jobs are not always publicized widely, which means checking the openings for each brewery can be the only way to find out about them. Some examples include Anheuser-Busch, Constellation Brands, and MillerCoors. You can sometimes find job openings on some of the major job ad sites, like Indeed.com. For more information on what it’s like to work as a professional beer taster, check out some of the links below. Professional Beer Taster: Best Job in the World? Probably The Best Job In The World! Wine Has Sommeliers. Now Beer Has Cicerones. Thanks for the info about this awesome job! I seriously had no idea that I can get paid to drink beers..